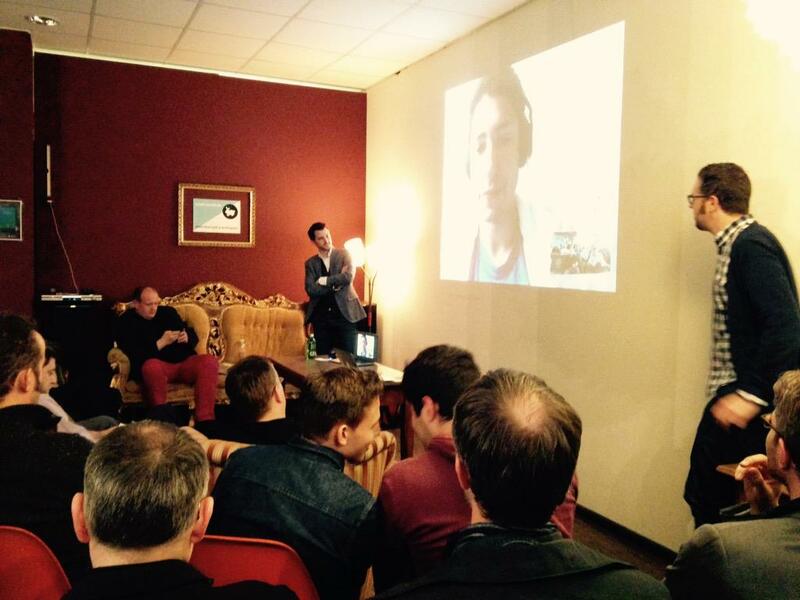 The first Product Hunt Meetup in Switzerland took place on March 5, 2015. Over 70 people from the startup and marketing scene gathered in the crowded Colab coworking space in Zurich-Wiedikon. After the live call, David Griesbach took over with a keynote on “ Lean Startup / Lean Innovation”. Four products had the chance to demo their products to the audience — all proudly Swiss made. Ioannis Tarnanas started showing Alterniity – a MedTech product for the early diagnosis of dementia. Well anticipated, the second slot was filled by Peter Hogenkamp and the team from niu.ws, a curated news service. Can Olcer from Battere shows off their concept of eco-friendly solar-powered power packs for take-away in bars and restaurants. Last, but not least, Andreas Guggenbühl presented Selfnation, a grown startup on the quest for the perfect fitting jeans, using award winning technology. For each of the products the applause from the audience was measured using Applaudometer. The proud winner of the first “Product Hunt Zurich Winner” badge was… Battere! A big thanks goes out to the product makers who showed their work, to our sponsors IFJ, Colab and Drink.ch, and, of course, to our audience who gave us great support on our first meetup! The evening was really well received by the audience, so we are really looking forward to our next event on May 28, 2015 at Blue Lion Zurich! Gert Christen, CEO of Blue Lion Incubator and Startzentrum Zurich, will hold a keynote about “Great product. Now grow a great business”. We will have five great products from Switzerland presenting live: YOOTURE (social recruiting), Swisscom Vidia (the virtual meeting room), Crowd (personal assistant for your social time), ProfitApp by Postfinance (simply earn points and benefit) and Velobar (the party on a bike that gets you fit fast). There are a few tickets left (free). Just sign up for our newsletter on zurich.producthunt.ch to get the registration link.